Our favourite Devil gets a dose of insecurity it seems, in this week’s episode of Lucifer. Detective Decker and him are solving the murder of a young woman who’s part of a Satanist cult. Not to channel my inner Chandler Bing, but could this be any more ironic? That and the part where Lucifer showed his Devil eyes to the Satanist member who opened the door, causing the latter to run away in fear was ironic too. Oh, and Lucifer over there is avoiding Detective Decker like the plague now that he knows that she makes him lose his immortality. I completely understood Lucifer’s annoyance that people, including the Satanists, tend to blame their violent, murderous acts on him because of who he is. My heart went out to him towards the end of the episode where Lucifer opened up to Detective Decker, how he wanted to be his own man and to be judged for his own doings. As much as I want Lucifer to be free from all the blaming and torturing of souls, it’s not going to be easy considering it was his Father who put him there in the first place. I do hope that Lucifer can one day have the freedom that he so desires and maybe Detective Decker will be by his side when that happens. The scene where the fake goat-headed Lucifer came in was hilarious. It should be a clip on America’s Funniest Home Videos or something. I don’t understand why a goat would be associated with the Devil. The guy doesn’t even like the cheese much less the animal. I also had to resist facepalming when Lucifer thought that Detective Decker is an angel sent to destroy him. That and the part where Lucifer woke Trixie up and interrogated her about her mother. Least the little girl got something for her troubles as Detective Decker appeared and told her daughter to go back to bed (no, it’s not chocolate cake). When Malcolm (or Detective Stache, as Lucifer so aptly phrased) confessed to Lucifer that he was the one who committed the murders, I half-wanted Lucifer to punish Malcolm for pinning the murders on him. Guess it’s not going to happen anytime soon as Amenadiel showed up and the two brothers started fighting. It seems that the archangel has developed feelings for a certain demoness and is angry at Lucifer for using her to get to him so that he can be killed. Yet during that scene with Maze and Amenadiel in bed and the former raising the curved dagger to kill the archangel, I can see that Maze didn’t want to go through with it. Could it be that the demoness has feelings for Amenadiel? Speaking of Malcolm, I’d have to commend the guy for being so calm when faced with an angry Amenadiel. Never thought I’d see the day where I would hear the words “#TeamLucifer” come out of the detective’s mouth. Welcome to the club, Malcolm. Shame you can’t stay long because Lucifer is coming after you with vengeance on his mind. Can’t say I feel sorry for you, cause I don’t. 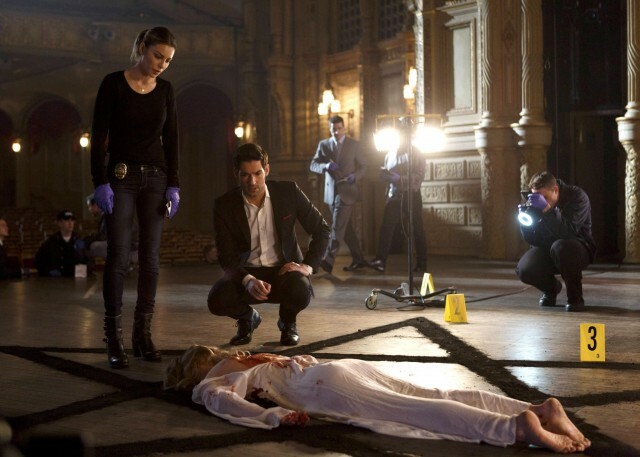 I can’t wait until the season finale to see just who is desperate enough to frame Lucifer for murder. I have a feeling that it’s Malcolm, but it could very well be Amenadiel again.